The College of Engineering and Computer Science (CECS) offers academic and career advising to help you build an academic plan individual to your goals and career aspirations and then transition from graduation into the workforce. Take advantage of the academic and career advising available to you to make sure you are on track for graduation and that you are prepared for life after graduation. 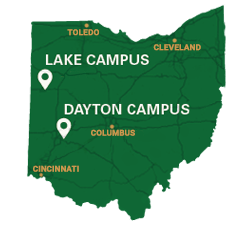 The CECS Student Success Center offers academic and co-curricular support services to ensure the success of all CECS students throughout their journeys at Wright State. Academic advisors are available to all students to help plan their program of study and answers questions. We encourage you to meet with your advisor at least once a year to ensure you are on schedule for graduation. Your advisor can also answer questions about procedures and processes or academic problems. CECS students have a unique resource available to them to connect with regional industry leaders. The Brandeberry Career Development Center helps prepare students like you for tomorrow’s workforce through experiential learning, then transition into a professional career upon graduation. There were 400 internship and career postings in 2016-17. Average intern salaries were over $15/hour for undergraduates and $20/hour for graduate students. The Center locates mutually beneficial internships, enhances student access to employers in the region, and collaborates with CECS faculty and staff to help prepare students for the transition from classroom to the workforce. Get started by scheduling your initial meeting. Venkata Dheeraj Majeti is working toward his Master’s in Cyber Security. Dheeraj’s interest in Cyber Security began during his freshman year after attending a few workshops on the subject. Soon he found himself conducting research outside of school particularly on security blogs. Mechanical Engineering major Logan Blazier is currently interning with Leidos. National Military Intelligence Association scholarship recipient David Sutherin has big ideas about the impact of rapidly developing technology on US National Security and hopes his contributions can assist in the preparation, detection, and reaction to cyber security threats against the US.